How to reach: By Bus: Take Jwalapur bus stop ticket from any roadways (UP,haryana, Delhi, himachal ,punjab,rajasthan) while boarding the bus from bus conductor & they will will drop you right infront of property. By car/own vechilce:Since property is situated on National highway at city entrance Type" wisdom global school haridwar" or "jurs country haridwar" in google map & it will show you right on the highway NH 58 in front you will be driving w In fact, " wisdom global school haridwar" or "jurs country haridwar" or our property is located on NH 58 highway at city entrance which is visible even from your vehicle windows in fact you have to pass through our property if you enter haridwar. By train : while coming out of railway station premises before boarding ask any autorickshaw driver "Harilok colony gate no 1" after pull jatwara" & they will drop you in front of the property. .flexible check in check out it depends on you when you check in check out infact 4 hours extended stay means (24hrs+4 hrs) free offered if we don't have following hours booking. if you need 12 hrs stay for 2 persons we charge just 500/-. 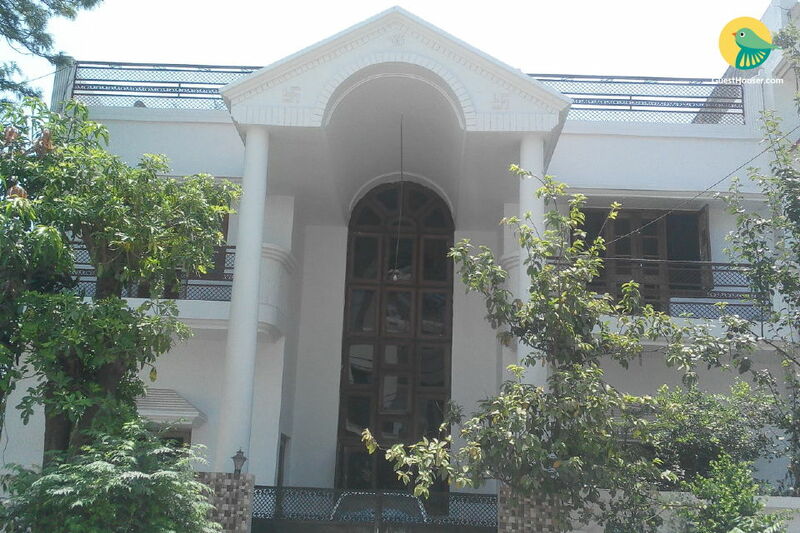 I have a homestay facility )suitable for max.6 persons.. in Haridwar uttrakhand very near to NH 58(hardly 40 metres distance) With following facility: 24 hrs hospital / pharma facility (important for person with diseases if travelling) food on call available.ie. tiffin service provider & food caterers provide provide at the property all rooms are park side & have large windows inside rooms Laundry service Mourning walk pathway alongside Ganga which is just 40 metres from my home. The most significant tourists attraction in the world river Ganga is hardly 50 metres from my home and clearly visible from my property. 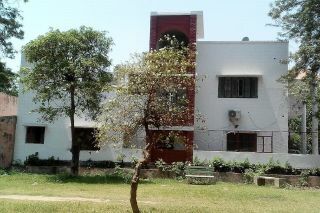 My property adjoiningly located with four lane NH 58 AT CITY entrance. 3 vehicle parking facility . Community park for leisure activity. 24 hrs owner available for any assistance and guidance.. Address of property H76 harilok colony near pull jatwara in front of Navin subzi mandi jwalapur Haridwar Uttrakhand 249407 All tourists attraction of hardwar( har ki pouri, Mansa Devi chandi devi ,Rajaji national park) are hardly 20 minutes away from my property. Come & experience new way of living quite different from tradional way of paid living. in fact Experiencing is more important than explaining because real experience is important than words..
Only simple & down-to- earth people are expected .Since this is a homestay not Hotel so facility like TV wifi not available. All other facility a home can have is availalbe on request with expectation that the guest will take care the provided facilitie very well. No room service since it's a homestay therefore you need to come to owner office for any help or utilities. Guest interaction :yes infact interaction help us to build healty relation. we accept all kinds of payment like paytm, debit card credit card wallet cash online fund transfer.. 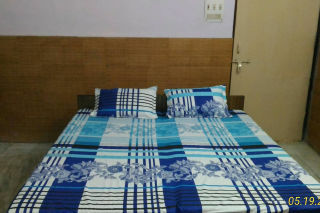 Note: we do not follow standard 12 noon check out system, it is upto the guest when he want to leave but need to inform us in advance about his check out be it 10'o clock next evening, we only have night charges... We also seek to vacant out our property if we have any other booking on guest check out date by mutual understanding, if we have next booking after 4 in the evening next day. By train : while coming out of railway station premises before boarding ask any autorickshaw driver "Harilok colony gate no 1" after pull jatwara" & they will drop you in front of the property. Jwalapur bus stop is next to property By Bus: Take Jwalapur bus stop ticket from any roadways (UP,haryana, Delhi, himachal ,punjab,rajasthan) while boarding the bus from bus conductor & they will will drop you right infront of property.